As we enter the last few days of 2016, it's time to take a look back at our favorite brands, lookbooks and blog posts of the year. These year-end roundups are among my favorite articles to put together. I spend so much time planning for the next post or project, that I don't always get to look back and treasure an especially good article or photoshoot or brand campaign. Some of that's a good thing because, as you know, when you spend too much time looking back, you don't always plan ahead. But now that our work for the year is almost done, I want to settle in and review some highlights. 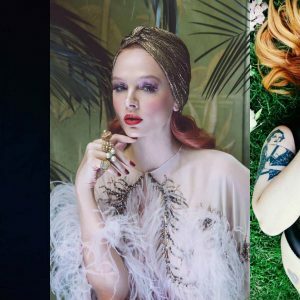 In terms of The Lingerie Addict's editorial, the biggest change has been bringing on three new writers this year: Ariel, Alexis, and Alysse. Their voices and perspectives are incredible additions to TLA and the blog's dual missions of information and inclusivity. But besides all that, I just love reading their articles each month. The second big change was promoting Krista, who you may remember as a former columnist, to TLA's Assistant Editor. 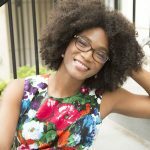 I burned out in a major way earlier this year and once I recovered, I realized that the blog is too big for me to manage entirely on my own anymore. I'd still been thinking of myself like a "small blogger", but with nearly 6.5 million views in the last year, that just doesn't describe the site anymore. I truly feel like the quality of TLA's content has improved this year under Krista's direction, and I'm so excited to have an official "right hand woman" who truly understands what The Lingerie Addict is about. Third, in an interesting change, some of the articles I'm most proud of don't even appear on The Lingerie Addict! I did a bit of writing for other media outlets this year, including Teen Vogue and Fusion, and this is something I'm hoping to do a lot more of in the future. There's so little lingerie information out there; I think the next step is for TLA to expand slightly beyond a lingerie blog. For 2017, I want to keep working to make The Lingerie Addict a better, more inclusive and more comprehensive resource. The Lingerie Addict is the largest lingerie blog in the world, but I don't see that as a reason to rest, to coast, to stop trying. I want TLA to be the best place there is for lingerie-focused fashion, and I feel more inspired than ever to make that happen. What was your favorite Lingerie Addict article of the year? And what would you like to see more of next year? Below is a list of the articles you'll want to read again and again from this year. Want to dig a little deeper with our Best of 2015 list? You can find it here. 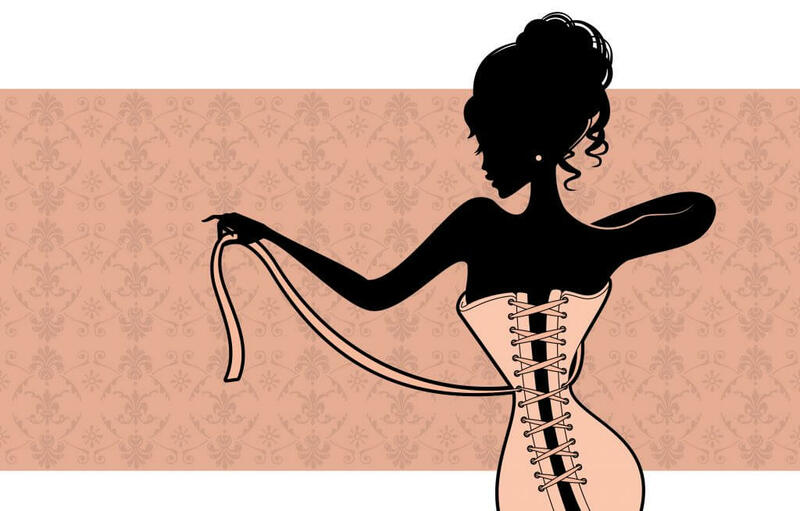 Why Don't Lingerie Brands Do Custom Alterations? - If you've ever wondered why a lingerie company can't just reduce the length of a strap or adjust a band for your order, Catherine of Kiss Me Deadly explains what's going on behind the scenes. Why Do Successful Lingerie Lines Close? - Lingerie lovers often lament the surprising and sometimes sudden shuttering of brands they love and admire. Why do successful lingerie lines shut down? How Will Brexit Affect the Lingerie Industry? - Some of your favorite lingerie brands may not be able to survive Great Britain's exit from the European Union. Even if they do, the quality of the goods (and the prices you pay) will almost certainly change. Pre-Code Hollywood Lingerie: Underpinnings from 1929-1934 - Pre-Code Hollywood is seen by many critics as one of the greatest eras in American cinema, and while I'm certainly no movie buff, when it comes to the fashion and costume design, I'm inclined to agree. The Made in China Bias: Is Made in the US/UK Always Better? - Many people assume "Made in China" products are inherently inferior to those made in the US or UK, but that's an inaccurate point of view...especially when it comes to lingerie. Lingerie Tips for Trans Women and Other Transfeminine Folks - Our new columnist Alexis offers her favorite tips and tricks for finding beautiful, well made, trans woman-friendly lingerie - including a few brands you may not have heard of before. What Makes a Supportive Full Bust Bra Work? - Customers often lament the fact that full bust bras (i.e. DD+ cup sizes) aren't as flimsy and delicate as bras in small bust or core sizes. It turns out there are some good reasons for that - the entire structure of a full bust bra has to change in order for it work properly. Lingerie Shopping: Bra Boutiques in the United States - One of our most popular articles of the year, guest writer Source du Mal gives TLA readers a comprehensive directory of brick-and-mortar bra stores in the United States. What Influences Lingerie Sizing? - Lingerie sizing is a controversial, emotionally-fraught topic. No one brand can do every size, but the logistics behind why a brand chooses to focus size group are often hidden. In this interview with a core size, a small bust, and a plus size brand, Quinne pulls back the curtain on lingerie sizes. Plus Size Bra Shopping: The Good and The Bad of Lane Bryant - In her first official article as a TLA columnist, Ariel takes a deep dive into the plus size fashion juggernaut that is Lane Bryant detailing their strengths and weaknesses in an era when the plus size marketplace is more competitive than ever before. I love the pre-code Hollywood article! Pre-code is one of my favourite, and most researched, points in film history for me. As a film student, it’s a period that I’ve written a lot about and studied. Post-code from 1934-1939 is also very interesting in terms of fashion history, and how costumers got around the restraints of the censors. If you’re looking for more input about costuming in the movies, or even some more background on different eras in film history, I’d love to help!